Major General Randall Fulhart stands with the La Porte family as the Corps of Cadets exits the Westview Cemetery, April 9, 2015. 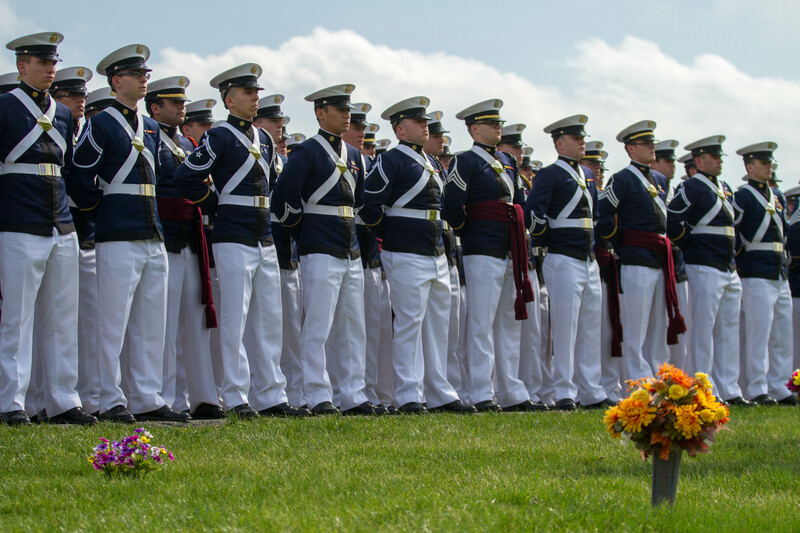 Senior members of the Corps of Cadets, stand at the Matthew La Porte Airman's Award ceremony, April 9, 2015. 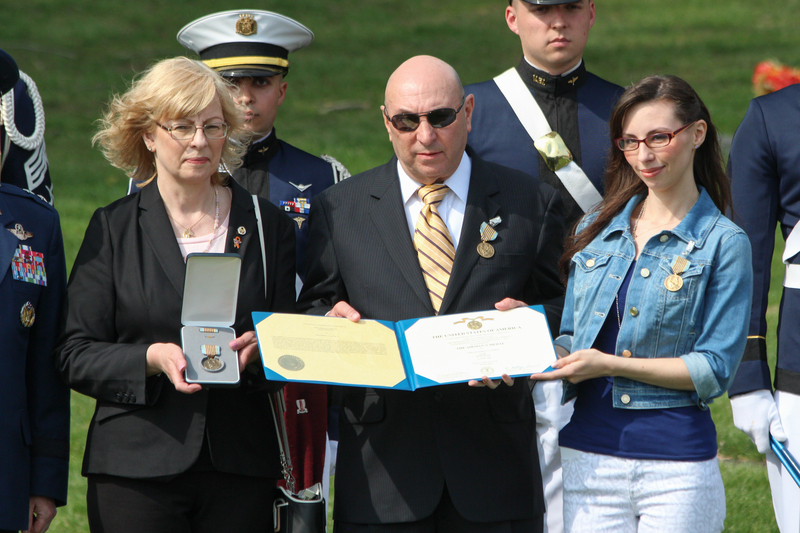 The La Porte family stands after receiving the medal, honoring Matthew La Porte for his heroic act, April 9, 2015. 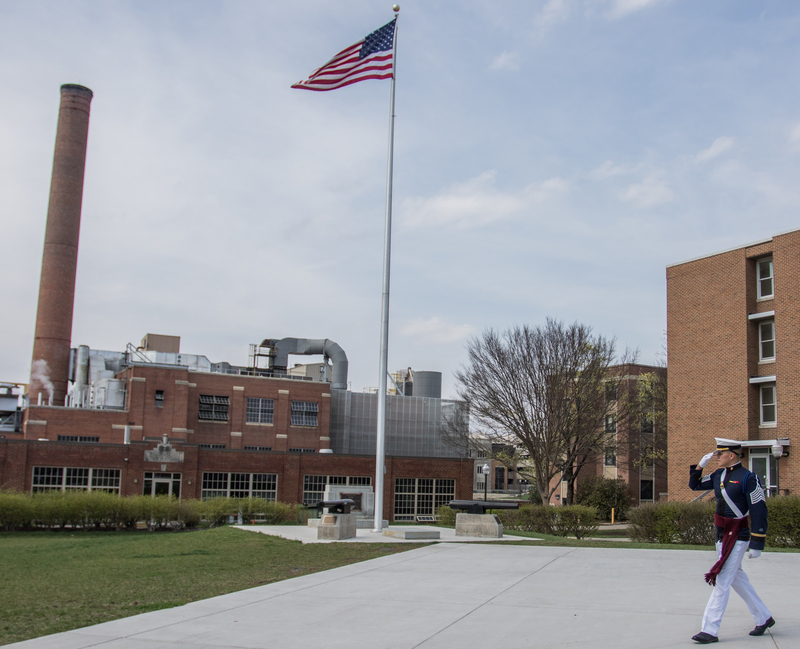 A cadet salutes the American flag while walking to his battalion prior to the march to the Westfield Cemetery, April 9, 2015. 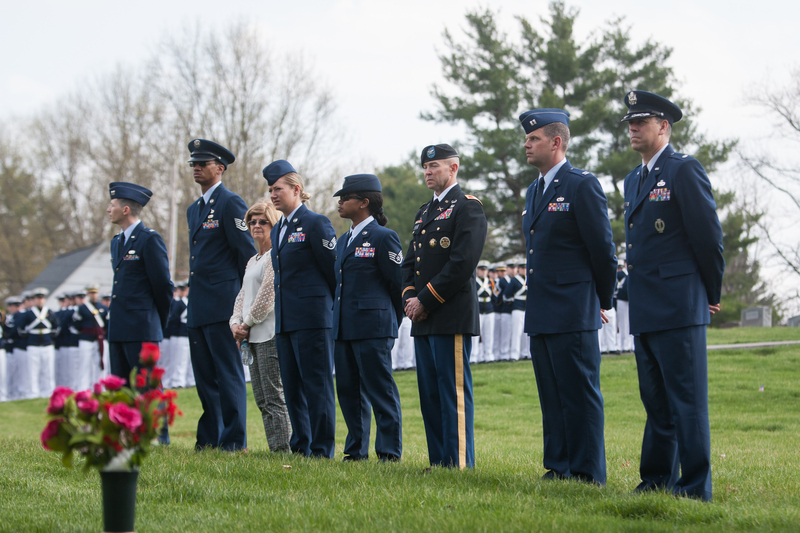 Cadets stand clustered in formation during the ceremony for Matthew La Porte Airman's medal, April 9, 2015. The third Battalion makes its way toward the Westfield Cemetery, April 9, 2015. 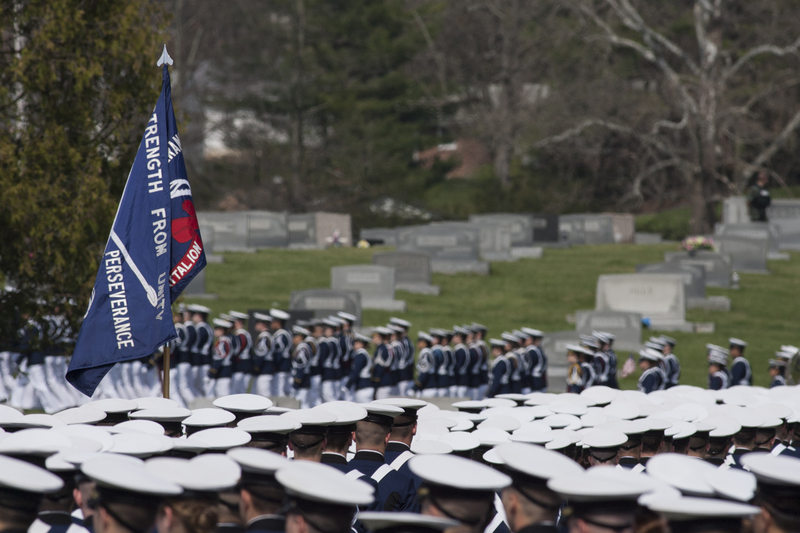 The Corps arrives at Westview Cemetery for the presentation of the Airman's Medal, April 9, 2015. 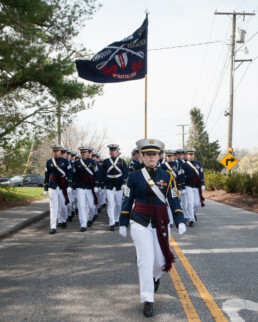 Members of the second battalion stand at attention just before the beginning of the march to the Westfield Cemetery, April 9, 2015. 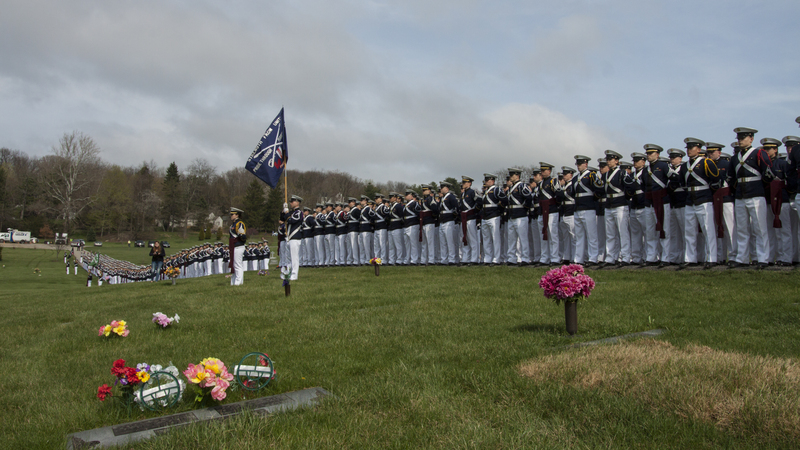 The Corps of Cadets stands in the Westview Cemetery to honor Matthew La Porte, April 9, 2015. 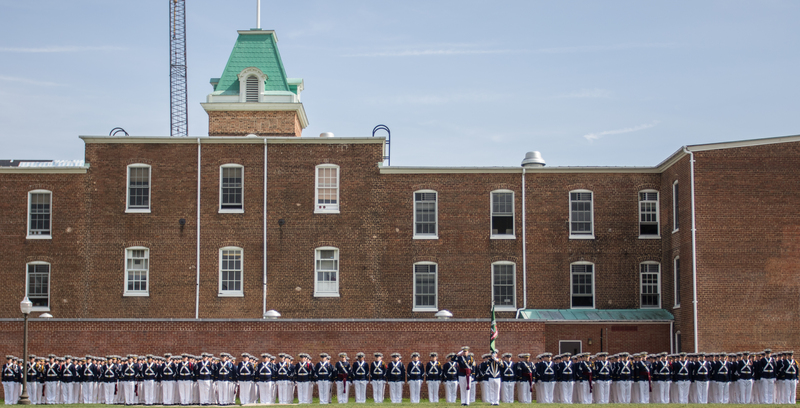 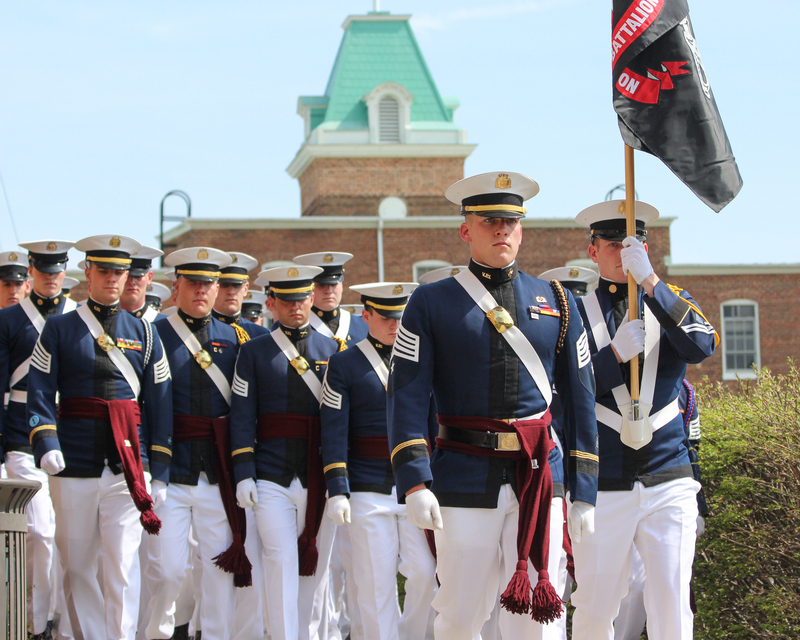 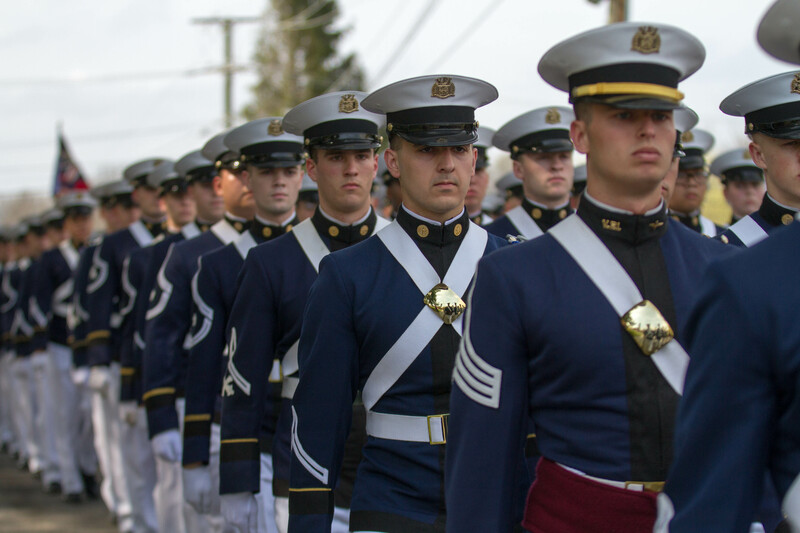 Corps of Cadets walk away from the Airman's award ceremony, April 9, 2015. 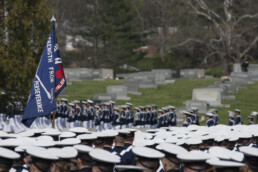 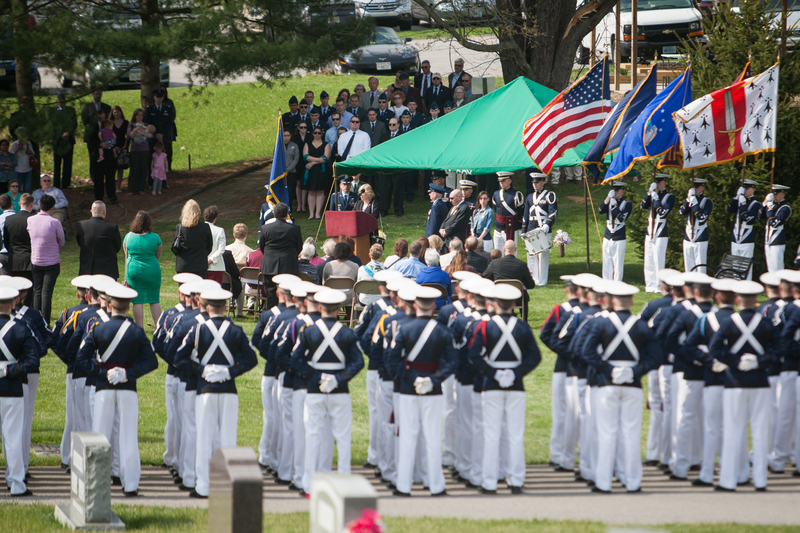 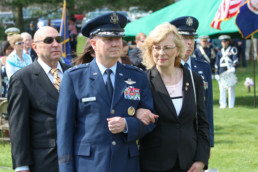 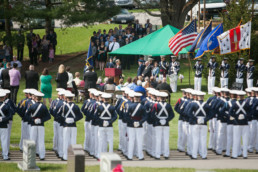 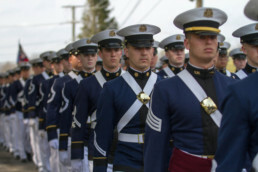 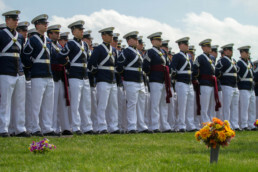 All members of the Corps of Cadets march to Westview Cemetery, April 9, 2015, for the ceremony where the U.S. Air Force posthumously honored Matthew Joseph La Porte with the presentation of the Airman’s Medal. 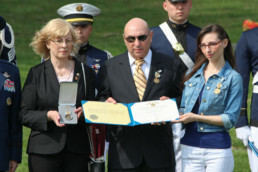 Barbara La Porte speaks at her son's ceremony after being presented with the Airman's Medal, April 9, 2015.